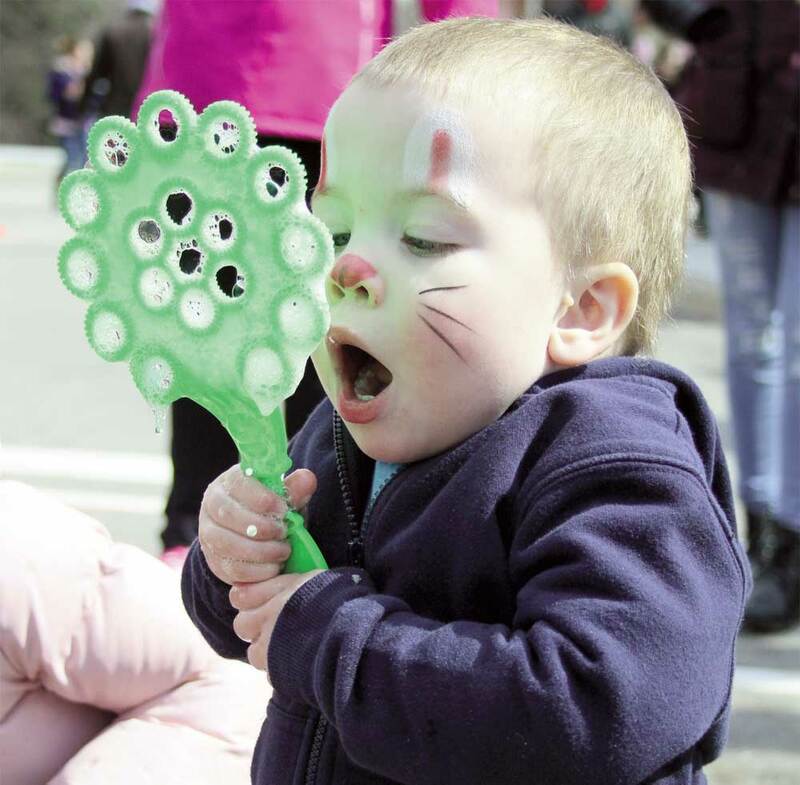 Austin Cartier, 2, gets ready to let loose with the bubbles at the Kids’ Safety Village of Durham Region’s annual Easter Eggstravaganza. Cartier was one of hundreds of children that, along with their parents, made their way to the village to take part in an Easter egg hunt, face painting and a visit from the Easter Bunny himself. There were also displays from Metrolinx, Durham police, Whitby Fire and more to teach 2,500 kids and parents that came by about being safe in the community and at home.